That's what these two did... and I swear, Leslie and Chris are PERFECT for each other!! 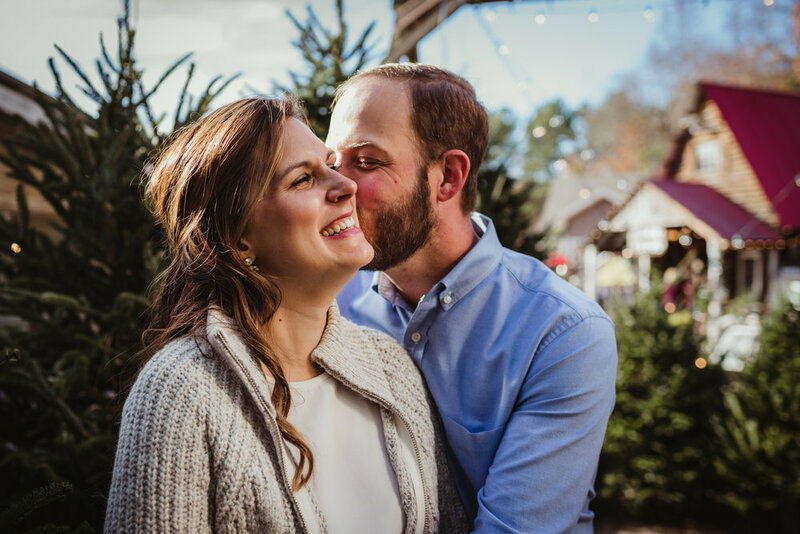 I met these crazy kids a few months ago when we started talking about their December 2019 wedding and we clicked right away! I was secretly (not so secretly) hopping up and down when I saw they wanted me to photograph their wedding, because they are just SO. MUCH. FUN!!! I definitely did a happy dance! 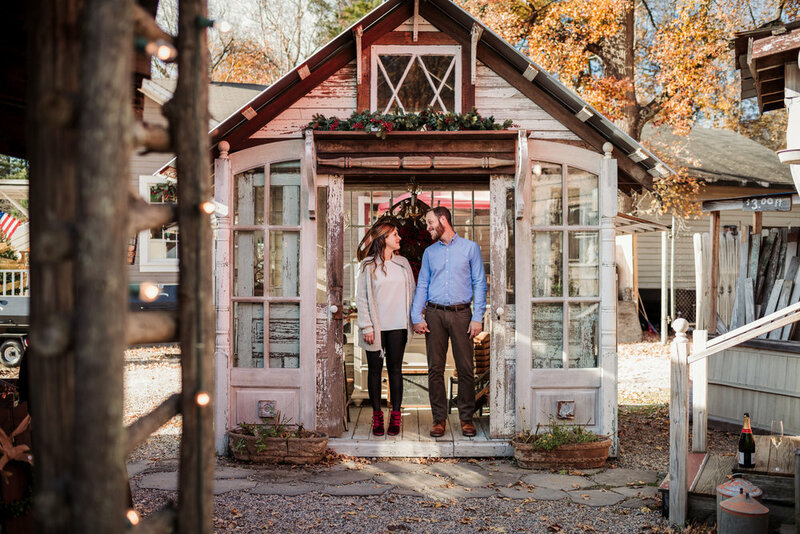 Leslie and Chris decided to do their engagement session at a place here in Raleigh called The Vintage Village. 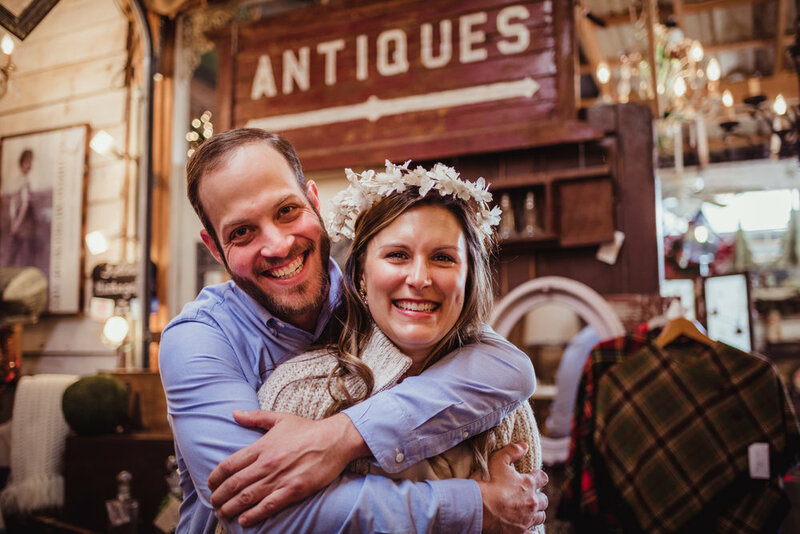 It's a bunch of quaintly made antique stores all put together like an actual village, and it is seriously one of the best kept secrets here in the Triangle! They had adorable stuff, freshly cut Christmas trees, and BBQ that was smoking next door. It was amazing. 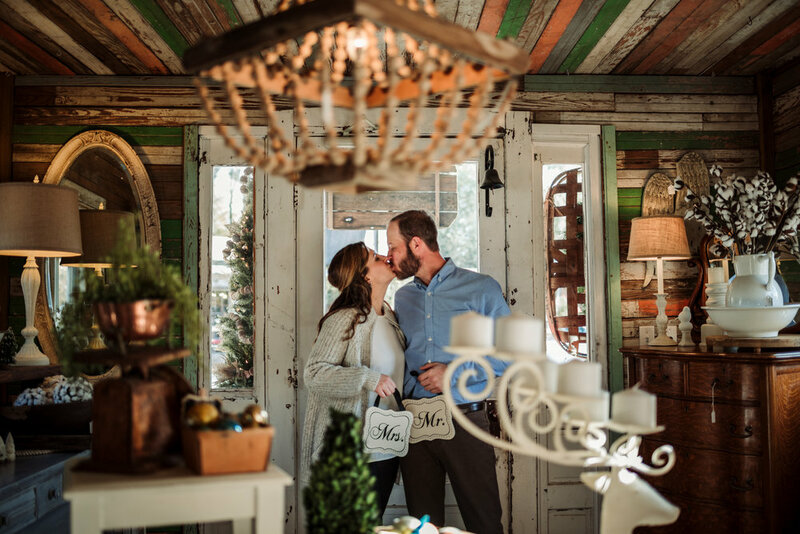 We went to SuzAnna's Antiques and St. Clair's Decor for some amazing indoor pictures and crouched outdoors in the Christmas trees and quaint decor. Leslie and Chris have a tradition of opening a bottle of champagne on Saturdays when they're done their errands for the day, so to commemorate that they brought bubbly along for the shoot as well! They definitely have a lot to celebrate... not only are they getting married in less than a year, but their anniversary was the day before Thanksgiving... the day we took our engagement pictures! These two kind, fun loving souls are amazing humans. I'm so excited to get to know them better through this next year and even MORE excited for December 8th, 2018... it's going to be the best day EVER!! !